37 Projects for Worthington & Shagen Custom Builder, Inc.
8 Reviews for Worthington & Shagen Custom Builder, Inc.
We invested in a major house renovation to completely change our house. It involved taking out a wall, moving plumbing and electrical fixtures, a completely new kitchen with new flooring and ceiling and lighting, and complete new design, cabinets and counter tops and appliances. Worthington and Shagen and their team of workers were first class. They took great interest in each stage of our project, from the designing to the actual completion we felt each person on their team treated the project as they would their very own. The degree of excellence with each stage and each aspect of the project contributed to what all our friends and family regard as a stunning improvement. They also gave us a very detailed estimate for the project and came in significantly under cost, and passed all the saving along to us. We hold this company in the highest regard for their professionalism, personal interest, integrity and first class level of skill. 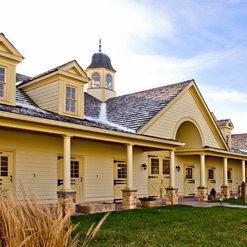 I worked with Worthington & Shagen on a residence that I designed. What sets WS apart from many builders and contractors I work with is their unfaltering involvement on a project from the very beginning in dealing with permitting and the approval process, all the way through to post-completion. Any successful project must have strong collaboration between builder, designer, and owner. This is another area where WS sets themselves apart. I particularly enjoyed the passion their finish carpenters shared with me in fine-tuning the details that set a grand home apart from the ordinary. They were up to any task. Working with Worthington and Shagen was a pleasure. We’ve collaborated on numerous successful projects with Worthington & Shagen Custom Builders and have always been very impressed. 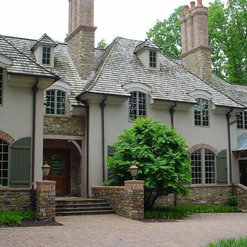 Their quality of work and attention to detail has given them the reputation as the premier builder in both Bucks and Northampton Counties. We’ve worked both as a design consultant to them and were also their client and I can attest that they truly put their clients first. They provide options on how to best address challenges during construction so that the homeowner never feels like they don’t have any other alternatives. If you are looking for a first rate craftsman, look no further! Worthington & Shagen are only to be considered if you want the very best. I initially worked with them on a long term renovation in 2011 thru 2013. They always grasped the design concepts and delivered a top notch product. They are sensitive to historic details and reproduction and cutting edge technology. Their team and management style is efficient and productive. 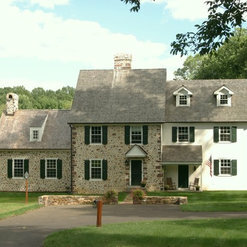 Recently I had the pleasure to call on them again working on a historic property. Their resources and ability to provide highly skilled work has once again made working with Worthington & Shagen an extreme pleasure. I would highly recommend them for your new construction and renovation projects. Hendrixson's Furniture has worked with Chance Worthington on several recent spec homes staging each with furniture worthy of the quality and craftsmanship Worthington & Shagen use in every custom build. We ultimately end up meeting and working with the proud new homeowners to provide the kind of handmade furniture and custom window treatments these homes deserve. Chance is very easy to work with and demands the best for his clients which is evident in all his work. I have had the pleasure of working with Chance Worthington and Steve Shagen in a prior design position that I held. They are extremely professional and very easy to work with. Their craftsmanship is top notch and their attention to detail is impeccable. I would highly recommend this company if you are looking to build a custom home! Over the past three decades Nejad Rugs in Doylestown Bucks County PA has had the pleasure of working with Worthington Custom Builders by providing beautiful oriental rugs for their spec homes and personal use. Many of our clients have used the Worthington company to build some of the most spectacular luxury homes in the area and we greatly look forward to continuing to work together in the future. 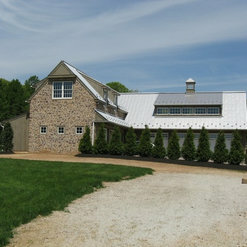 Worthington Custom Builders is one of the few, true custom builders in Bucks County. 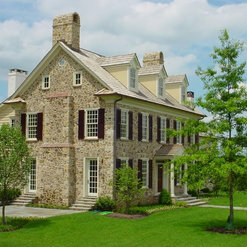 Their homes are distinctive and built with the finest materials and workmanship available. The Worthington team will keep your best interests in mind every step of the way. I am always impressed with the care that is given to each and every detail. 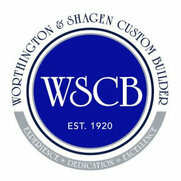 1 Ideabook for Worthington & Shagen Custom Builder, Inc. Commented: son muy caros los pisos de madera que los de losetala madera es meno costosa en en los Estados Unidos. Commented: where did you get the stones? are they natural or cultured?This is natural stone. Actually reclaimed from a barn that was demolished so difficult to get this exactly. 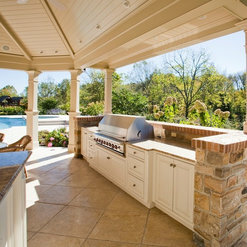 Rolling Rock stone in PA can put together a similar blend of new natural stone. 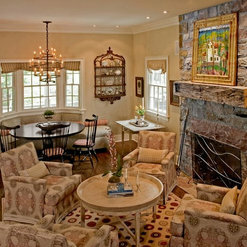 Commented: Love the sconces!Sconces supplied by designer - I will email her and let you know if she can find the info. Commented: What are the stones used for this patio and stairs? Thanks!The stones are &quot;Wissahickon Schist&quot; from Rolling Rock stone in Pennsylvania.